What’s a good decision we made in the last six months. What’s a decision we made that you question? Employees are loyal to managers and organizations they feel connected to. And connections are formed through conversations. 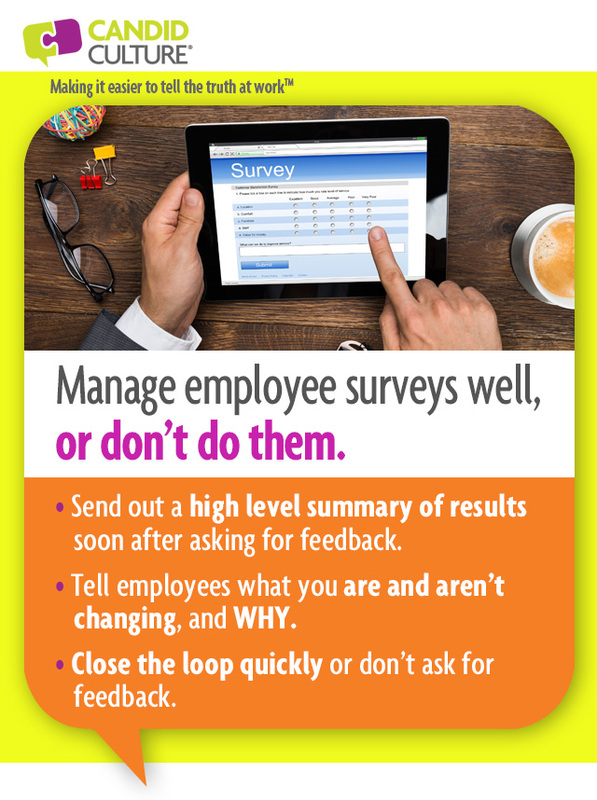 So in addition to sending employee engagement surveys, ask questions during every conversation and make it clear that you’re listening to the answers. My last few blog posts focused on giving feedback. The posts were designed to help managers get ready to write and deliver performance appraisals. Giving feedback will always be hard. No one wants to hear that she isn’t doing a good job, thus no one wants to tell her. Part of the performance appraisal process is setting expectations for the next year. And asking for what you want, before problems happen, will always be easier than giving feedback. 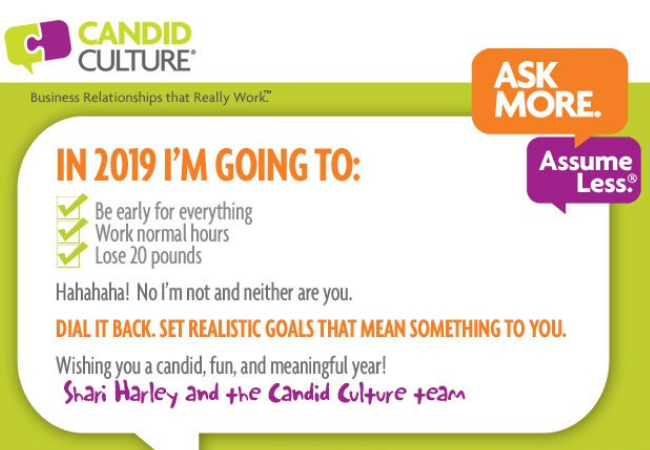 If you’ve seen me speak or attended one of our training programs, you received a list of Candor Questions designed to eliminate the guessing at work. 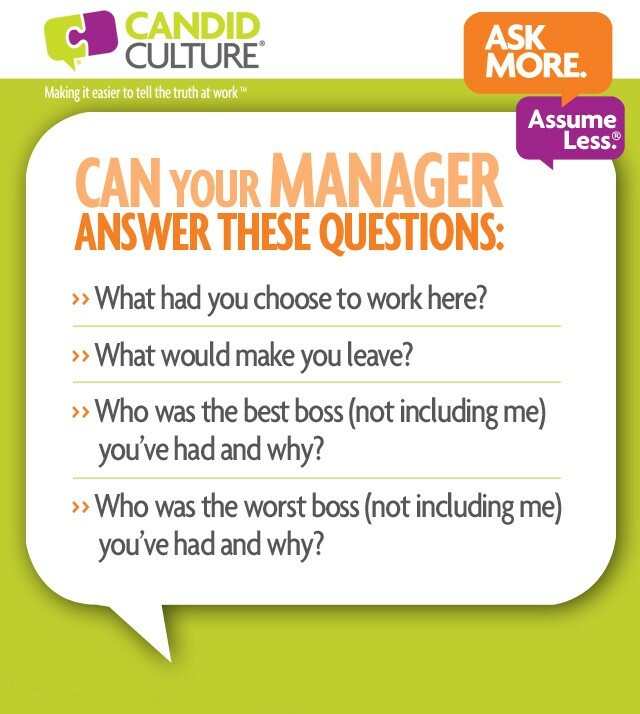 They may have been questions for leaders, managers, strengthening business relationships or managing careers. Regardless of which Candor Question Cards you received, the goal is the same. Ask more. Assume less. When we know what people expect, we can give people what they need. We make fewer ‘mistakes’, requiring fewer feedback conversations. So start with what’s easy. Ask more questions. How do you like to receive information – email, voicemail or text message? Are you a detail-oriented or a big-picture person? How much information do you want to receive and in what format? What are your pet peeves at work? What would I do that would be frustrating, and I’d never know it? What had you choose to work here, and what would make you question that decision? What kind of work do you love to do most? What kind of work do you like to do least? 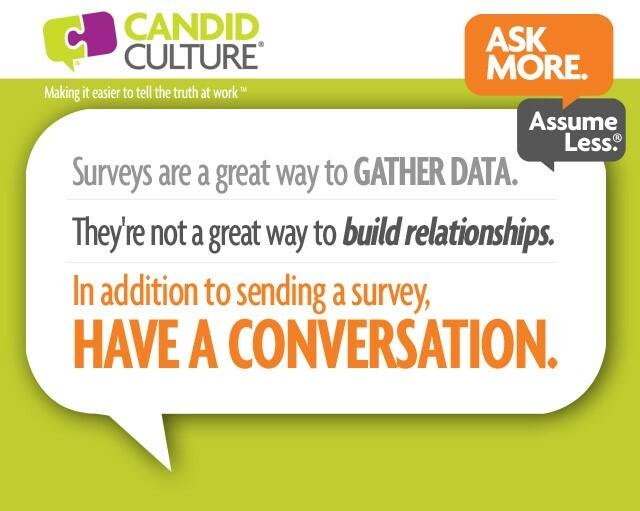 You can download samples of our seven types of Candor Questions here. People are not us and don’t do things the way we do. Don’t assume someone will create a report as you would, participate in a meeting as you would, or dress for an event as you would. Setting expectations before the event of what you want, gives them a chance to be successful. Giving Feedback is Hard – Asking for What You Want is Easier. By Shari Harley. It’s almost January 1st, when many of us begin thinking about New Year’s Resolutions. We vow to lose 20 pounds, save 10% of our income, get promoted at work, take an exotic vacation, be a better partner, etc. etc. Also known as “how to set yourself up to fail” in five easy steps. The reality is we might do one or two of those things, if that. Why not set yourself up to win instead? Instead of setting huge goals that are unlikely to happen, why not set more realistic goals that you can and will likely to do? 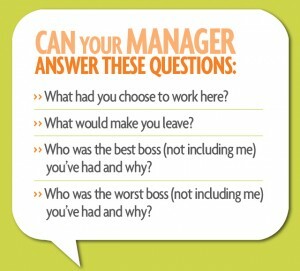 If you manage people, perhaps you’re thinking about how you can be a better manager in 2013. Or you may be thinking about how you can accelerate your career. You may decide to meet with your employees more frequently, or ask your boss for more feedback, or ask for new and different work. You may think that doing these things will help you strengthen your relationships with your employees and your reputation, and advance your career. Doing any of these things might help you strengthen your business relationships and help you get ahead. But they might not, if those things are not important to your employees, your boss and/or your organization. In 2013, put energy and resources into the things that truly matter to the people you work with, rather than the things you think they think are important. And the only way to know what the people around you really want and need is to ask them. Don’t assume you know what is important to your boss, direct reports and coworkers, ask them. Ask more. Assume less. What’s an area, in 2012, I exceeded your expectations? Where do you think I should focus my energy in 2013? It’s easy to assume what others want and are expecting from us. The problem is we’re not always correct. Thus we expend energy doing things that others don’t find valuable or important, otherwise known as wasting time and resources. Your time and budget dollars are valuable. Use your time and money for things that others actually want, versus what you think they want. 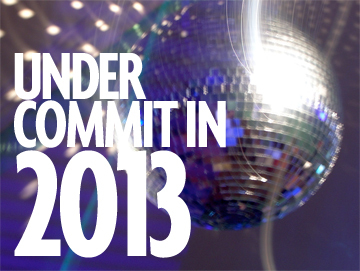 In 2013, dial it back. Make realistic, attainable goals that are aligned with what the people around want and need. And in return, you too will get what you want and need. 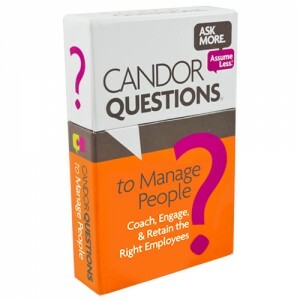 Take advantage of the last day to get a free box of Candor Questions with a purchase of $75 or more candor products.